Atrial fibrillation (AFib) affects around 5% of patients age 65 and older and 10% of patients age 80 or older. AFib is associated with a 5-fold risk of stroke so patients with AFib are often treated with anticoagulant or antiplatelet therapy, both of which increase the risk of bleeding. Examining individual patient risk factors can help providers manage bleeding risk while reducing risk of stroke in patients with AFib. 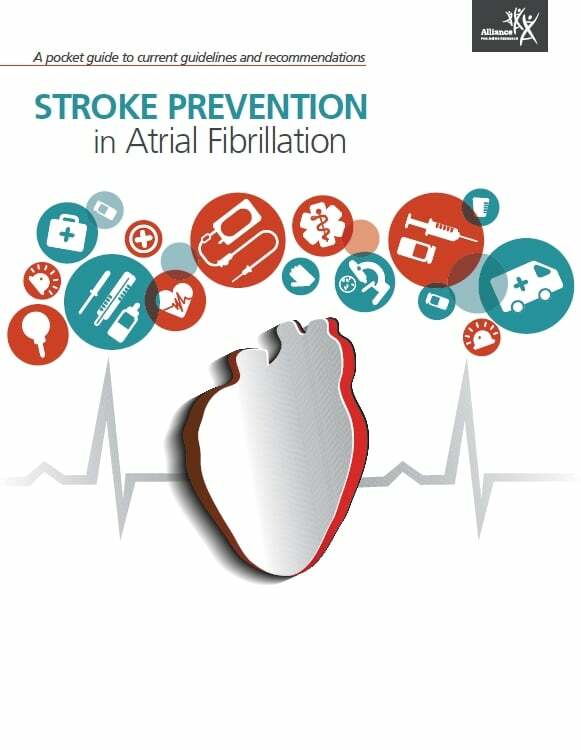 This pocket guide outlines the similarities and differences in current AFib guidelines, as well as efforts from major medical organizations to guide decision-making for stroke prevention in AFib (SPAF).